A health and well being retreat afternoon for mothers using specific nutrition, holistic therapies and exercise to support your well being with Lizzie Longhurst and Virginie Dumas. Regardless of your fitness/health and their birth experience, all new mums will suffer from some form of: – sleep deprivation – weakened or wounded tissues and skin – stress (physiological pain, anxiety of being a new mum etc) – hormonal shift And all that for a period of up to 2 years after birth and sometimes longer, depending on their lifestyle. There is very little support in comparison to pregnancy and birth, while on the other hand social and media pressures are HUGE on being the perfect parent with the perfect body to match in record time! Holistic therapist Lizzie Longhurst (Founder of ‘Top to Toe Treatments, Bath and Corsham’) and Perinatal Exercise Specialist Virginie Dumas (Founder of ‘Strong Mama’) have combined both experience and expertise in their fields to offer mothers that well needed support towards achieving a greater sense of well being and confidence. Whether you are a very new mum or have a toddler, join them for a relaxing, fun, informative and nurturing afternoon, exploring ways to support and heal your body on both physiological and emotional levels with specific nutrition, key exercises, hands on massage/release techniques, reflexology and essential oils. This workshop is delivered over 3hrs in a relaxed atmosphere with a short break and a chance of tasting nutritious juices, soothing herbal teas and testing essential oils. 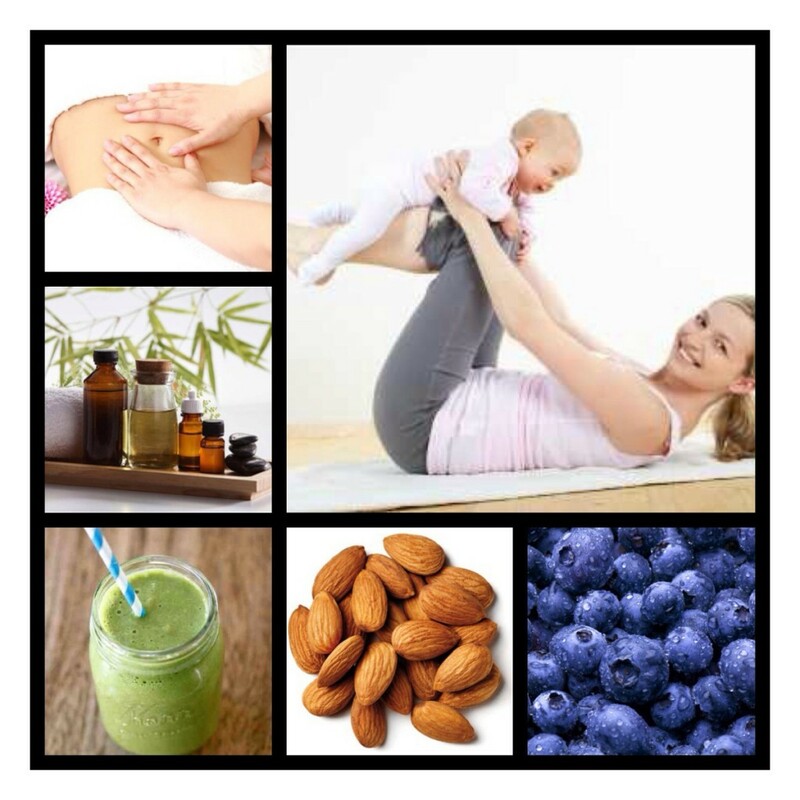 Mums will walk away with the knowledge and practical tools to increase their energy, boost hormone balance and moods, release stress and tension, heal and strengthen a weakened abdominal wall and pelvic floors (not just with the right exercises but also the right diet! ), support breast health and breastfeeding and understand the impact of gut health on their health and that of their baby’s. You will also take home a booklet with key nutrition plans, recipes and self massage hand outs and a specific essential oil blend sample. Mums, please wear comfortable clothing as there are practical elements in this workshop.